Unlike me and my horrible gift giving decisions, my sister Gwen is awesome at picking out items she knows I would love. Yes I may have hinted at this all christmas season but she knew that not just any old fanny pack would do for this girl! She bought this awesome faux leather rhinestone encrusted Kimchi Blue one from Urban Outfitters. It also features matte muted sequins as the backdrop for the jewels. I love love love this bag! I can throw it on with anything and it instantly adds texture, interest and a focal point to any look. 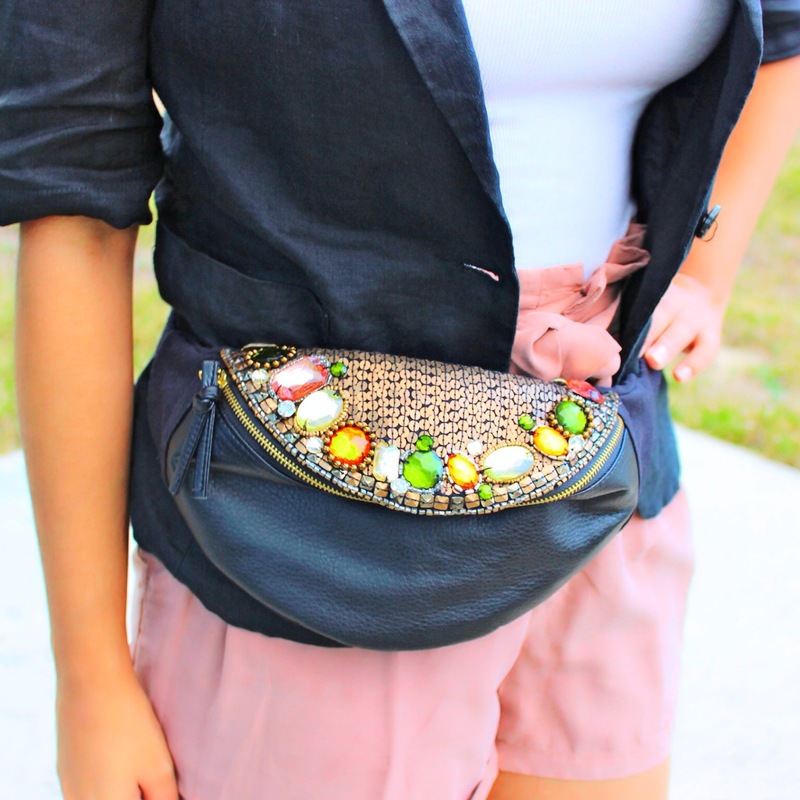 Fanny packs are also awesome for keeping your hands free and enabling those who have issues with carrying everything (like myself when I have a huge purse) to downsize and only bring the essentials. 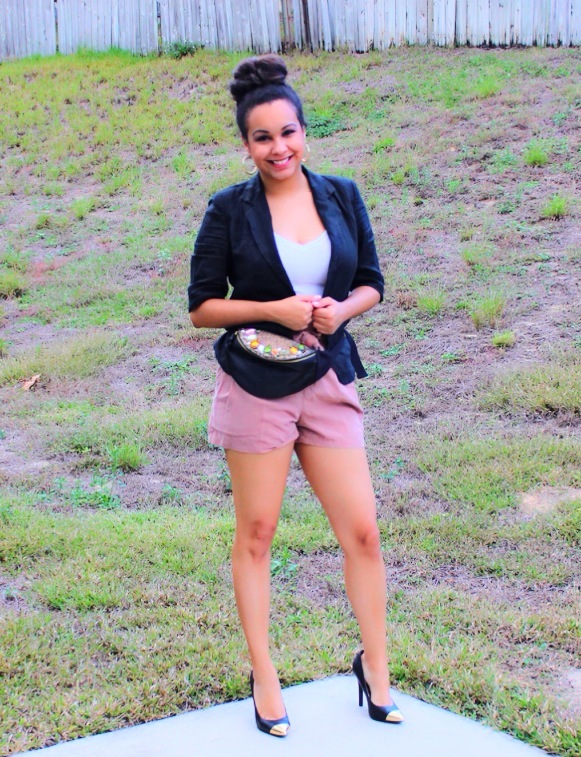 I paired it with some H&M high waist blush shorts, forever 21 linen blazer,lace detailed camisole and gold capped black basic heels (all old season items). Links below to get a similar look!